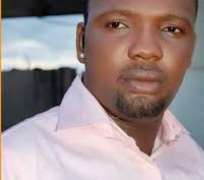 Nollywood actor, Yomi Fabiyi, has come out to warn that it is so sad that everyone runs around with various tradition and beliefs yet things are not done in accordance. The actor stated that he was born into various religion which is why he has different names but stressed that having taste all the tradition, none has advised that anyone should cause trouble for others. In his words, “My great grant parent practiced IFA hence my surname FABIYI. I was born to a Muslim parent, hence my 1st name LUKMON and circumstances surrounding my pre-birth and naming ceremony informed my middle name ABAYOMI and invariably practiced Christianity my childhood, teenage and some part of my adult life. None of these 3 religions will mandate you to cheat steal or take what doesn't belong to you. Infact the 3 believe in God and prayers, mode just differs. Apparently for human diversity on earth, each continent or let us say people have a peculiar mode of worship. Borrowing from other people mode of worship is not bad. “Worshippers of either of these 3 are brilliant academically, rich live longer, die, in politics, in media, in entertainment industry etc. Nothing good or bad is peculiar to any in my opinion. The only problem I sensed is that one religion keeps playing the other down the other for obvious reasons.